Cities are frequently at the front line of innovation when it comes to addressing the changing problems of urban life. Plans to combat climate change, bring about cleaner air and create safer, healthier spaces for citizens are all being executed by mayors and councils in the world's major metropolises. As more than half of the world's population now lives in urban areas, these initiatives are increasingly important to ensure that the future of city living is a bright one. The plans below seek to deal with a wide range of issues, and while results may vary, they showcase innovative ways to address them. These are 10 cities with plans to change the way we live for the better. 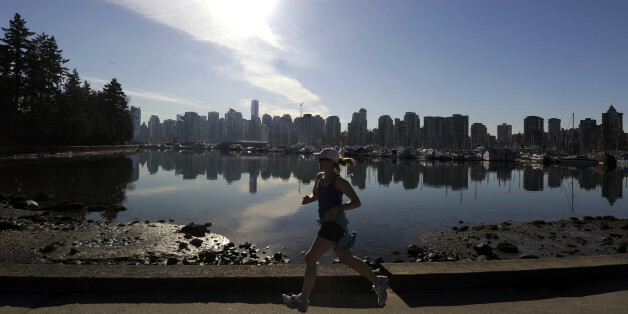 Vancouver consistently ranks toward the top of lists of cities with the best livability and quality of life. One aspect of city life where Van City is trying to shine is as a place to start a family right in the heart of downtown. Vancouver has policies in place that ensure a certain amount of high-density housing is intended to be for people with children, and that has resulted in high rates of families living in the city's center, CityLab reported. In addition to attempting to create space for families in a very expensive housing market, the Canadian city has initiatives to maintain the city's green image. Starting in 2015, the city has tried to eliminate food waste through a ban on scraps that requires uneaten food be put in a special bin for recycling rather than the garbage. Together, the plans aim to keep Vancouver a place where citizens can enjoy a clean, beautiful city. Vancouver is also host to North America's only supervised safe injection site, a controversial harm-reduction initiative that aims to curb the city's immense problems with intravenous drug use. Since its inception in 2003, the program has been shown to substantially cut fatal overdoses. Stockholm has strived to make itself a city that is thoroughly accessible through bike and foot, while trying to wean itself off reliance on car travel. Some streets have barred cars completely, and in 2010 the city adopted its "Walkable City" plan to turn the city into a series of interconnected districts with easy access in between. The urban design initiative offers a strategy for Stockholm's city government that includes the creation of green spaces, building up of infrastructure and focus on bicycles as a means of transport. In a growing city, the plan aims to make sure that new development doesn't sacrifice quality of life. Where cars are necessary in Stockholm, there is already a plan in place to reduce road deaths through a focus on safety regulations. The "Vision Zero" plan has been so successful -- Sweden now has the world's safest roads -- that it has been exported to cities like New York. After Hurricane Sandy devastated New York in 2012, the city was delivered a harsh reminder that it would have to adapt to the threat of violent weather and climate change. The result was a $20 billion plan announced by then-Mayor Michael Bloomberg to defend against future storms by building up city infrastructure. A far-reaching initiative, the plan involves building barriers against storms, as well as ensuring that power plants and hospitals are prepared for disaster. Proposed construction also involves such ambitious projects as retractable flood walls that function as art installations when not in use. While the initiative isn't one that can be universally adapted, Iceland's unique geology has given Reykjavik a means to cleanly and efficiently heat homes and buildings. Geothermal heating uses the power of steam from underground heat sources -- in Reykjavik's case, this involves hot springs and even magma -- to produce electricity and heat. An impressive 95 percent of buildings in Iceland's capital use geothermal heating, making for a city with a renewable energy source that limits carbon dioxide emissions. The result is that Reykjavik is at the forefront of sustainable energy usage. As a means of unclogging foot traffic during peak hours of the commute, the city-state of Singapore implemented an initiative in 2013 that gave free subway fares to riders who left a little earlier in the morning. If you could make it out of the system by 7:45 a.m., then the ride would be free, giving citizens an incentive to relieve the jam-packed rush hour trains. Originally intended to only run a year, it has been repeatedly extended due to its success. Singapore's Land Transit Authority has said the free fares have shifted a full 7 percent of their morning riders to an earlier schedule. The annoyance of carrying around luggage all day when exploring a city is an undesirable side effect of traveling. However, Hong Kong has found a way around the issue through a service that allows you to check in your bag at designated stations of the Airport Express -- the subway line for airport travel -- that can handle the baggage and ferry it to your flight, CityLab reported. The result is an international city that aims to make the travel and business experience easier and remove unnecessary extra steps. Notoriously one of the most expensive and difficult rental and housing markets in the world, Paris has a new plan to bring about affordable housing and stop existing residents from being displaced. The city's tentative plan is to put around 8,000 apartments in central, gentrifying areas under a law that would give the city first right of refusal to buy them, with the intention of turning the locations into subsidized housing. In addition to that plan, there are also initiatives to shut down predatory real estate tactics like charging people for access to apartment listings. It's too soon to see what the plan's effect will be, but the move is a sign that authorities are feeling the pressure to address important housing issues. While ranking which city is the "greenest" is somewhat subjective due to ill-defined criteria, Copenhagen, Denmark, repeatedly hits top marks due to its green initiatives and bike-friendly streets. Perhaps the most ambitious plan the city has is to be completely carbon neutral by 2025. Through the use of wind power, biomass fuel and other alternative energies, Copenhagen is aiming to massively curb its CO2 emissions. If the city pulls off its plan, it would be the first capital in the world to achieve carbon neutrality. Fitting for tech-focused San Francisco, the city has provided heaps of data for use by citizens and businesses to foster a better quality of life and create accountability. The DataSF project launched by the mayor's office has given access to everything from housing to health information to fuel innovative ways of analyzing and accessing the city. One effort that has sprung from the project is a partnership with review site Yelp, which gives users access to information on restaurants' latest health inspections. The result is a quick and creative way to reduce food-related illness in the city, using information that's already readily available. The sprawling landscape of Berlin is filled with derelict industrial buildings and abandoned spaces from its past. Berliners have long been adept at repurposing these for a variety of uses, from turning old power stations into exclusive nightclubs to art squats in cavernous abandoned buildings. One of most successful the state-sponsored initiatives in this vein was the opening and reclamation of the city's Tempelhof Airport. The airport was expanded by the Nazis in 1934 into a colossal air transit complex, with massive amounts of open space between its numerous runways and hangars. In 2010, Berlin reopened the Tempelhof as a giant free park for city dwellers to congregate. There are also plans to change the interior of the Tempelhof into a work or event space, and repurpose what was once an airport used for horrific purposes into a place that seeks to create social good.